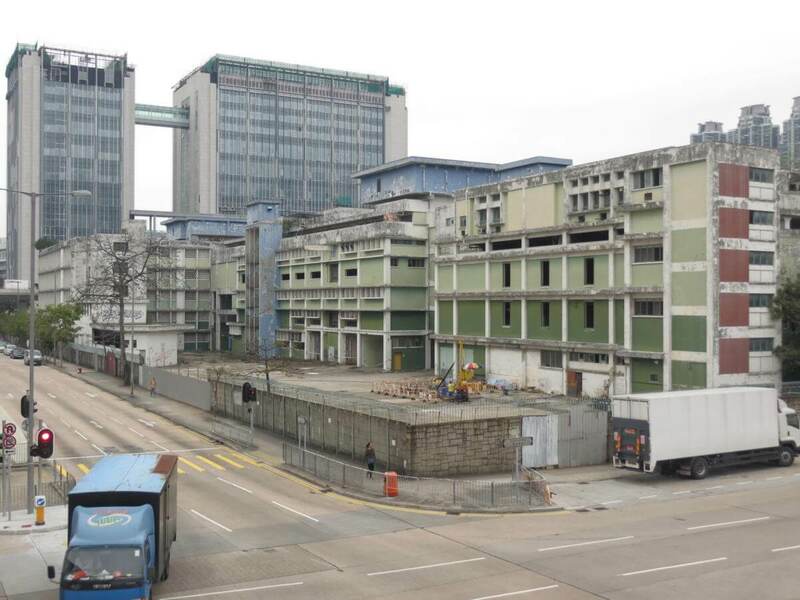 HF: Cheung Sha Wan Abattoir was one of HK’s three main slaughter houses before they were all closed and Sheung Shui opened. Established in 1969, it closed in October 1999. 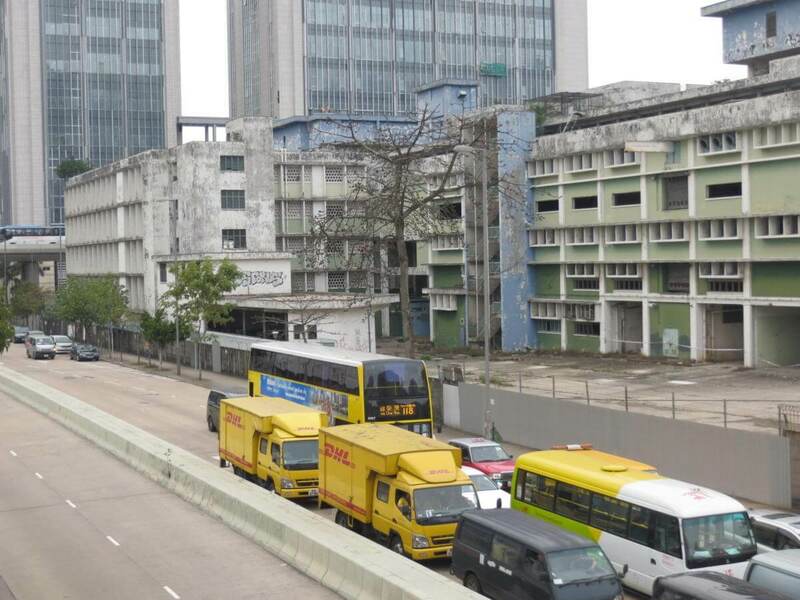 It’s a very large building, which I have been unable to enter, and is connected to the adjacent vegetable market via a footbridge. 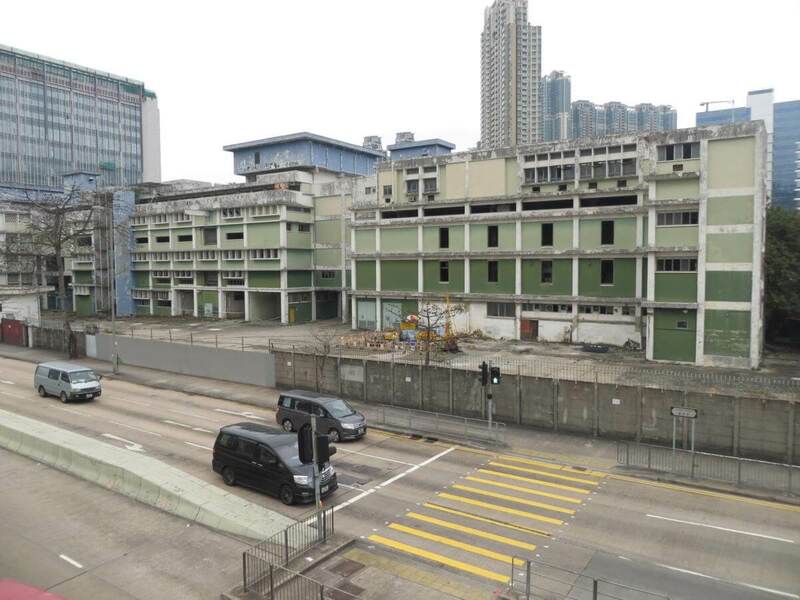 The Government’s decided in 1995 to close the three main Hong Kong abattoirs in Kennedy Town, Cheung Sha Wan and Yuen Long and to open a single facility on the the outskirts of Sheung Shui. 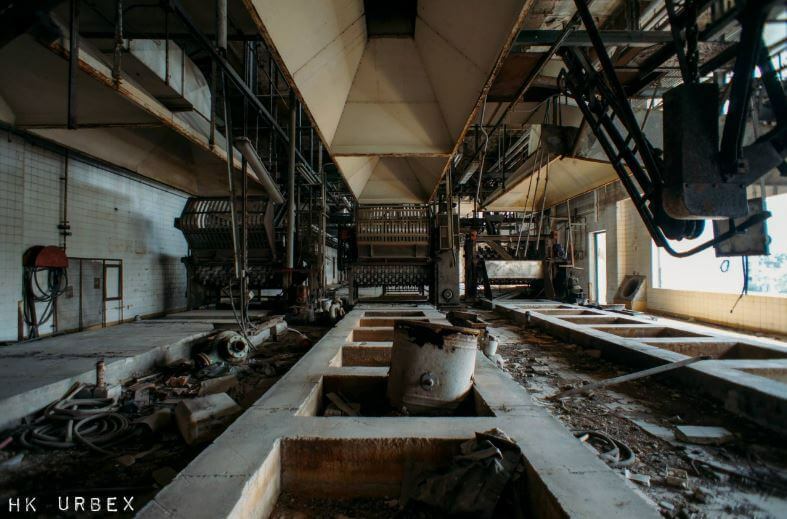 Construction of the slaughterhouse commenced on 18 February 1997. It was substantially completed in June 1999 and fully commissioned by March 2000. I took these photos on 23rd February 2016. 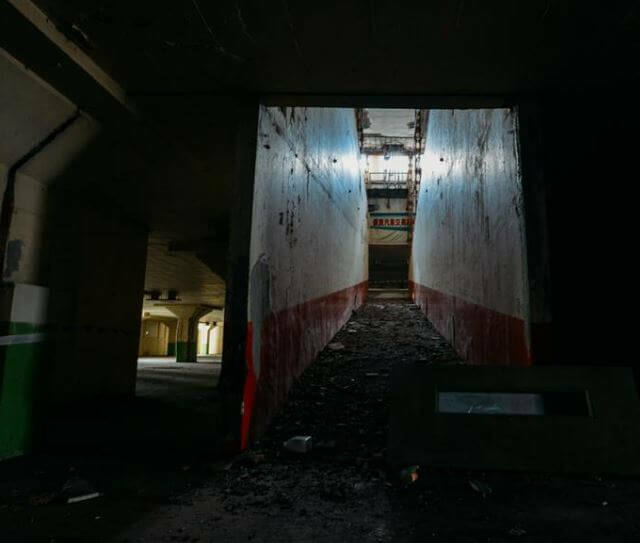 The HK URBEX group have gained access post closure. Here are a couple of their photos which I think were taken in 2014/15. They have also made a short video. Further photos and the videos can be seen in the links below. 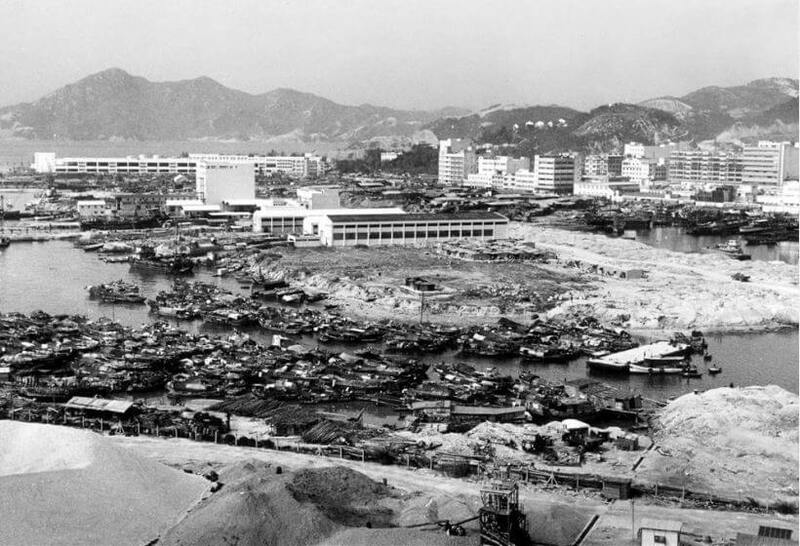 This 1965 photo from the Hong Kong Memory Project is accompanied by the following text: Reclamation in Cheung Sha Wan was completed by the end of the 1960s. 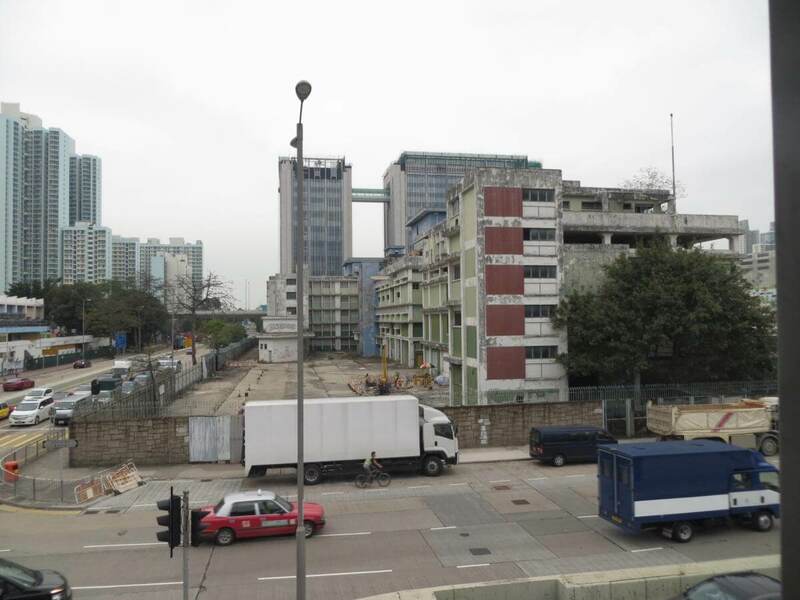 Cheung Sha Wan Wholesale Vegetable and Fish Markets, the slaughterhouse (abattoir) and the shipyards can be seen in the background. This article was first posted on 21st August 2016.